Jockey Dylan Dunn has been taken to hospital for X-rays after a fall at Moonee Valley. 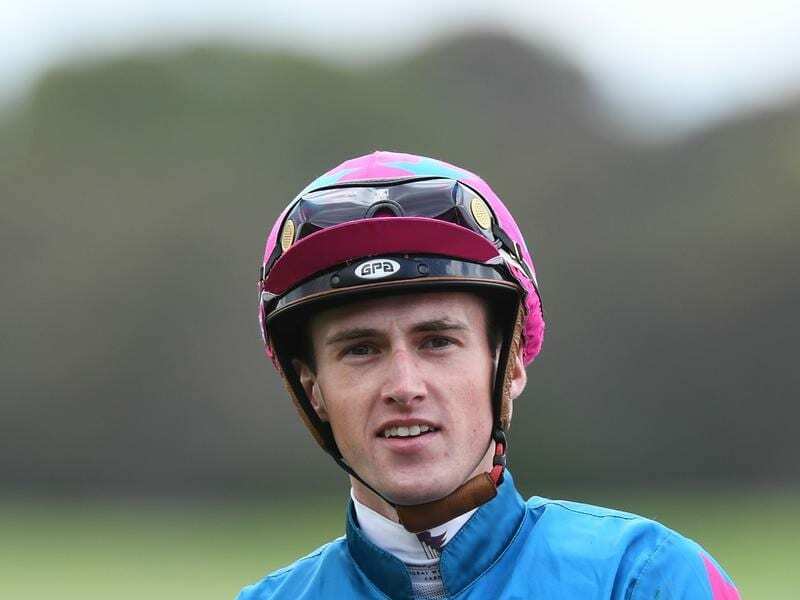 A week after riding a career high six winners at a country meeting at Colac, Dylan Dunn has been taken to hospital following a fall at Moonee Valley. Dunn was riding Crystal Beau in Saturday’s Punters.com.au Plate when the two-year-old broke down near the 400m mark. The jockey fell awkwardly and was quickly attended to by medical officers before being transported to Royal Melbourne Hospital. Dunn’s father Dwayne, who rode fifth placed Cathars, said his son was sitting up and talking following the fall. “It doesn’t look like anything is broken,” Dwayne Dunn said. Dunn will be sidelined until at least January 9 because of a careless riding suspension due to begin on Saturday night.